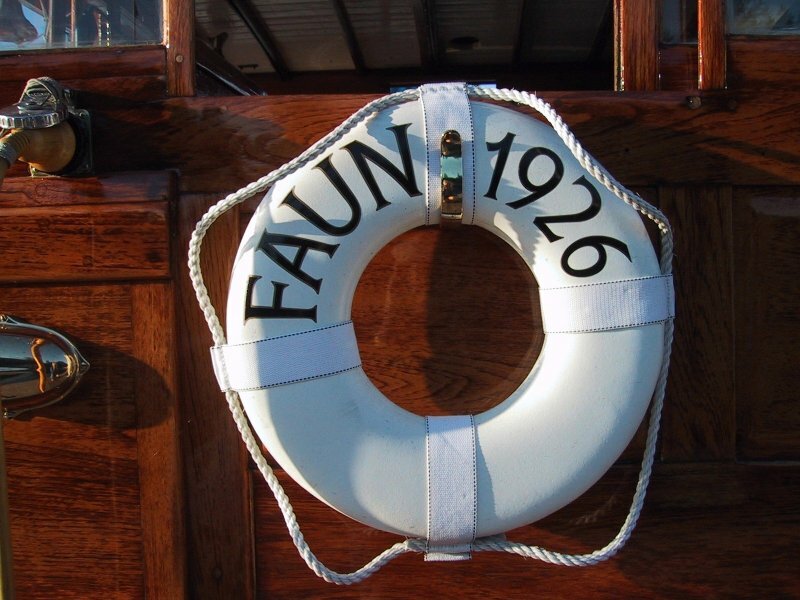 FAUN is a Blanchard Standardized Cruiser, built on Lake Union and launched in June, 1926 by the N.J. Blanchard Boat Company for W.N. Winter of Medina, Washington. Her designer is Leigh Coolidge. 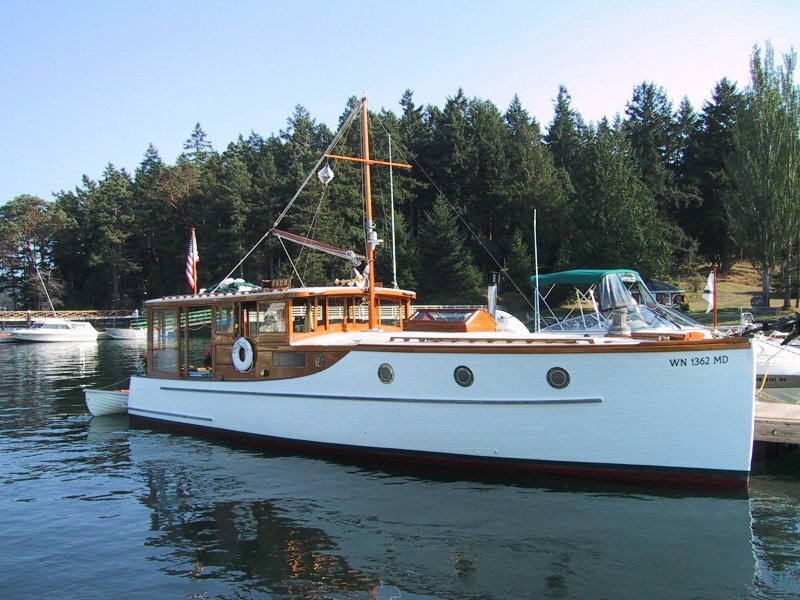 She is one of twenty-five 36′ Cruisers built by Blanchard, only a few of which survive today. FAUN was one of the most luxurious of the Blanchard cruisers when she was built. Her 1926 purchase price was $6000. FAUN was originally powered by a single Van Blerck gas engine, and since 1946 has had a Chrysler Crown 6 cylinder gas engine, rebuilt in 1986. Average cruising speed is 8.5 knots. 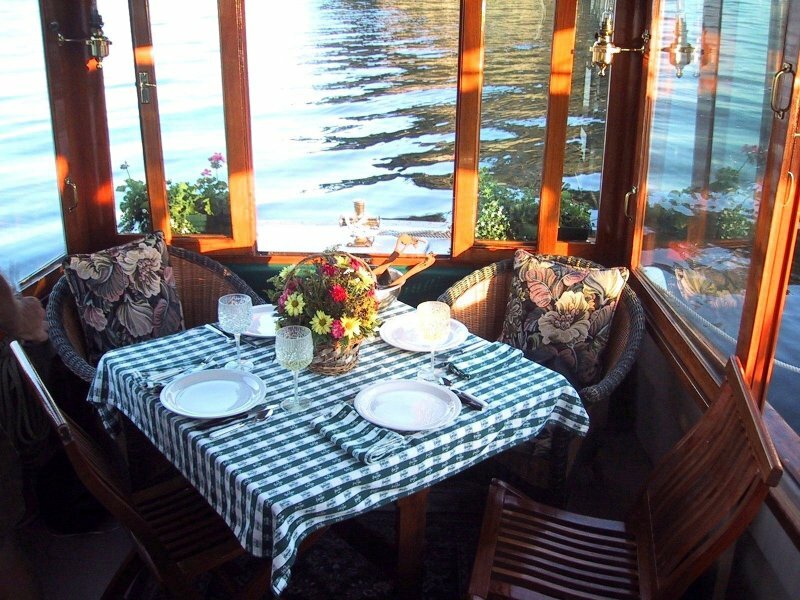 Her hull is western red cedar, her frames are white oak and her brightwork and house are teak. She still has her original stove, a Neptune, originally wood-burning, now converted to kerosene. FAUN has had about a dozen colorful owners, among them the Gray, Black and Brown families of Seattle. In WWII, she was painted battleship grey and put on patrol, almost certainly in Lake Union, as a member of a Coast Guard Auxiliary Flotilla. Traces of grey paint remain visible in obscure locations. Her interior has been completely and beautifully refitted, and her exterior has been restored and is maintained in impeccable condition. A major restoration of her planks, frames & ribs – everything from the waterline down- has just been completed. 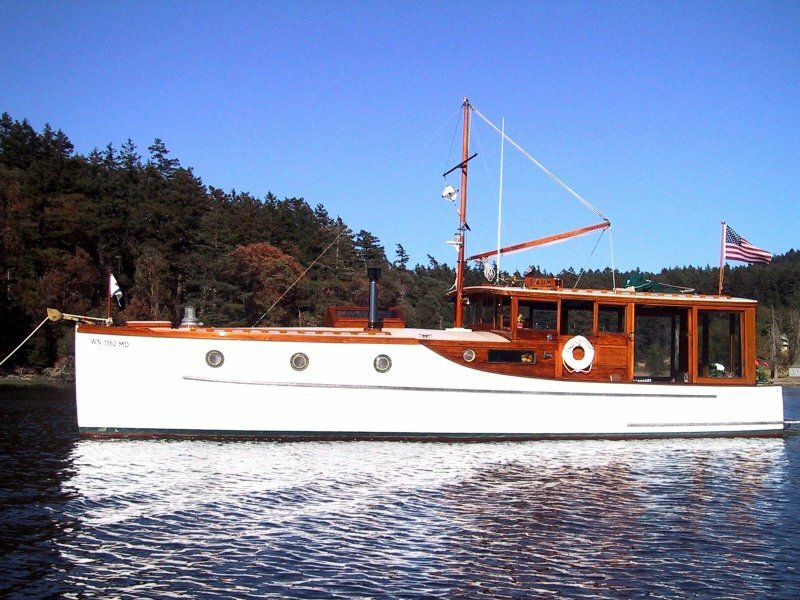 An award winning yacht, she has several times place among the winners in the Seattle Yacht Club Opening Day Parade & others. 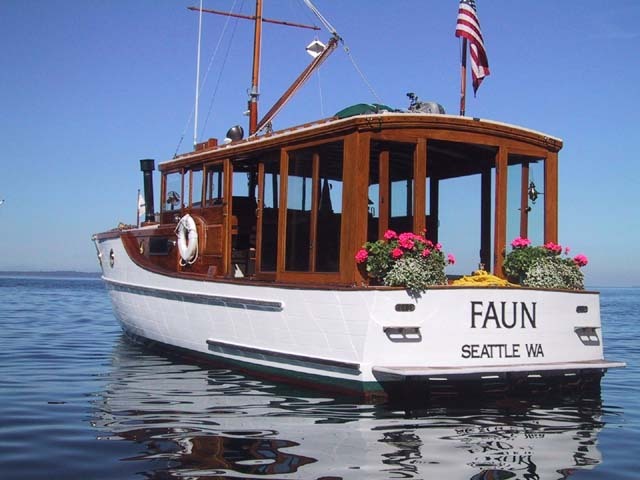 FAUN is featured in several books, notably Classic Wooden Yachts of the Northwest by Ron McClure (2000). She was featured as Miss October in Benjamin Mendlowitz’s 2010 Calendar of Wooden Boats, and has graced the cover of Northwest Yachting Magazine. She is also the subject of a series of pastels by San Juan Island artist Nancy McDonnell Spaulding, prints of which are sold in island art galleries. She is owned and cared for by Michael J. Passage and Laura Stone Shifflette of Seattle, Washington.